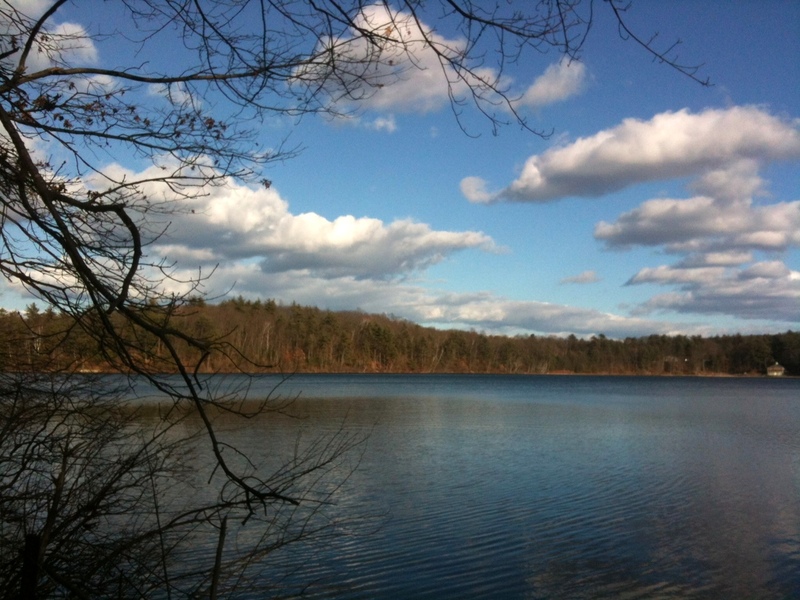 This I decided during today’s walk around Walden Pond, as I thought about the meaning of life and dismissed tedious fitness goals, and then resolved to cook from more cookbooks this year and read Proust. 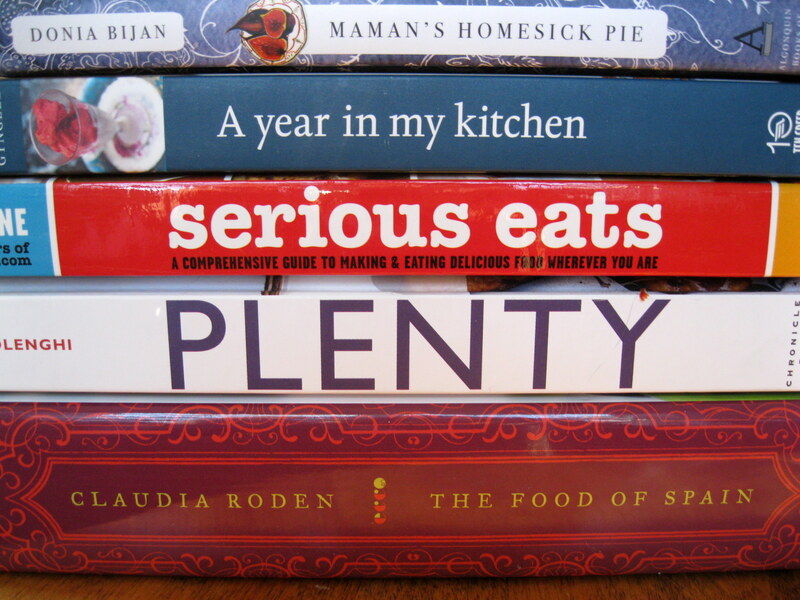 My friends know me so well that I received two copies of Plenty, as well as books that I didn’t even know I wanted, such as the new The Food of Spain by Claudia Roden. This well-researched and lush photo-filled book looks great on your coffee table, gives a vivid tour and history of the regional cooking of Spain, and has homey and non-intimidating recipes. After weeks of plucking bacon-wrapped goodies off trays and sampling caramel recipes and bespoke chocolates, the Cement Truck Kitchen needed a break. 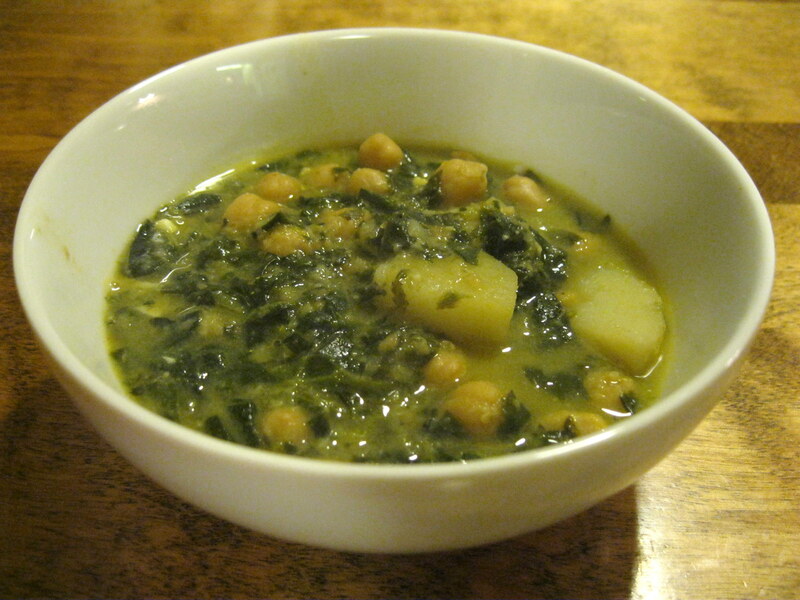 A Castilian soup of chickpeas and spinach, thickened with hard-boiled eggs and bread, was the cure for New Year’s Day weary heads and overworked stomachs. 1. 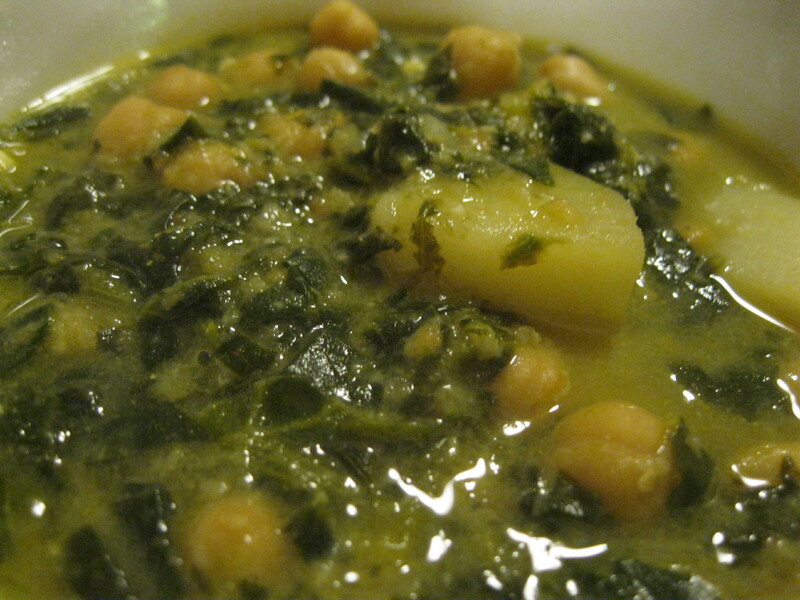 Put the potatoes and chickpeas in a large soup pot with 4 cups of the broth. Bring to a simmer, cover, and simmer for 10 minutes. Add the spinach and salt and simmer, covered, for 15 minutes. 2. While the soup is simmering, remove the yolks from the hard-boiled eggs and set them aside. Chop the egg whites finely and set them aside. 3. Prepare a small plate with a paper towel. Heat the olive oil in a small skillet over medium heat and fry the garlic until medium brown, then remove the garlic with a slotted spoon and put on the paper towel to drain. Put the bread in the skillet and fry, turning, so both sides are nicely browned and crispy, then put bread on the paper towel. 4. Break the bread into pieces, and put it in a food processor with the fried garlic, cumin, smoked paprika or pimenton, and pepper, and blend. Add the egg yolks and blend, then add the remaining 2 cups of broth and blend. 5. Pour the garlic bread mixture into the soup and stir well. Taste and add salt and pepper as needed. Cook for 10 minutes, stir in the eggs whites, and serve. Serves 6 as a main course, served with a salad and bread. This entry was posted in Beans and legumes, Comfort food, Healthy, Soup, vegetarian and tagged claudia roden, healthy soup recipe, vegetarian soup recipe by Amy. Bookmark the permalink.